The U.S. government apparently sees Haiti through two lenses. On the one hand, it’s a country where conditions are good enough for the U.S. Department of Homeland Security (DHS) to repatriate Haitian immigrants in six months, but on the other, conditions are also so dire that the U.S. Department of State has to issue a travel warning for American citizens to “consider the risks” before they visit. On Monday, DHS Secretary John Kelly announced his agency would extend a deadline for temporary protection by six months until January 22, 2018 for the more than 58,000 Haitians living in the United States. After an earthquake leveled highly-populated areas of Haiti in 2010, the United States offered Temporary Protected Status (TPS) for Haitians, a type of immigration benefit for people unable to return to their home countries because of war, natural disasters, or other extraordinary conditions. DHS senior officials made clear on a press call that while the Trump administration has the discretion to extend TPS, it expects current Haitian TPS holders “to resolve their affairs, to obtain travel documentation” so that they could prepare to permanently move back to Haiti in six months. 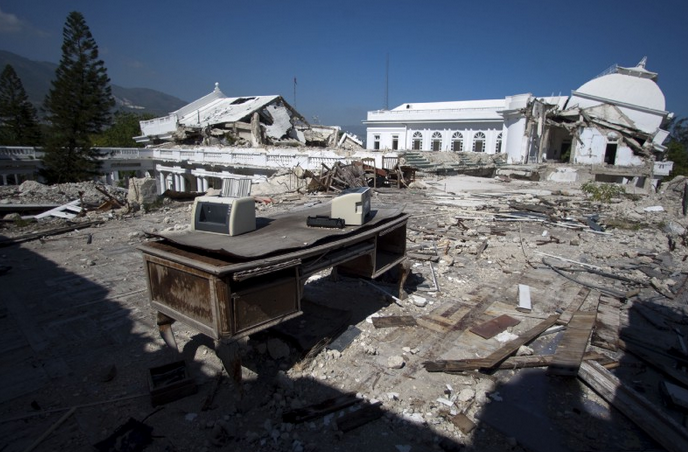 The conflicting views between the two U.S. agencies were not lost on Jonathan Katz, the only full-time, on-the-ground American journalist in Haiti during the 2010 earthquake and author of The Big Truck That Went By: How the World Came to Save Haiti and Left Behind a Disaster. “On the one hand, DHS thinks Haiti is in good condition for 58,000 people to move there today and restart their lives under incredibly difficult circumstances, whereas the State Department doesn’t even think its own personnel should go to restaurants at night in the neighborhoods they live in because it’s so horribly dangerous,” Katz added. Rebuilding efforts from the 2010 earthquake and other disasters have been hampered by a variety of factors including cholera introduced by United Nations peacekeepers and continuous political turmoil. Yet DHS senior officials justified Kelly’s decision to extend TPS for only six months — and not the recommended 18 months from the Haitian ambassador to the U.S. — by pointing to the rebuilding of the presidential palace; withdrawal of UN peacekeeping troops country as a sign of a “stable government that’s capable of governing its citizenry;” and the fact that 96 percent of internally displaced people have left camps set up in response to the earthquake. Kelly’s comments about improving conditions hinge on a “superficial” outlook that “kind of make sense if you’ve only been paying attention to Haiti by watching occasional specials on CNN over the past seven years,” Katz said, poking holes in the official rationale.